William Thomas Cain/Getty ImagesWorkers at Walmart and other retailers are getting raises as unemployment drops. The US unemployment rate fell to 3.7%, a 48-year low, in September. While low unemployment is a sign of a healthy economy, it is worrisome news for companies scrambling to hire and retain workers. The restaurant and retail industries are trying to fill hundreds of thousands of job openings. Companies are giving workers higher pay and better benefits to compete – and trying to figure out how to cut labour hours by replacing employees with robots. Fast-food chains and retailers alike are fighting an increasingly intense battle for employees. The US unemployment rate fell to 3.7%, a 48-year low, in September. According to the monthly jobs report released by the Bureau of Labour Statistics on Friday, the last time unemployment was so low was December 1969. While low unemployment is a sign of a healthy economy, it is worrisome news for companies scrambling to hire workers. There were 757,000 retail-job openings across the United States in July, which is about 100,000 more than a year ago, according to the Bureau of Labour Statistics. The food industry had 909,000 job openings in July, an increase of 161,000 from a year ago. Restaurant and retail executives are getting anxious about filling the necessary positions. “For some brands, it’s actually capping their sales potential,” said John Hamburger, the founder of industry trade publication Franchise Times Corp.
As a result, workers are seeing increased wages and new benefits. On Tuesday, Amazon announced plans to raise the company’s minimum wage in the US to $US15 per hour. Walmart, Target, and Costco also increased starting worker pay earlier in 2018. 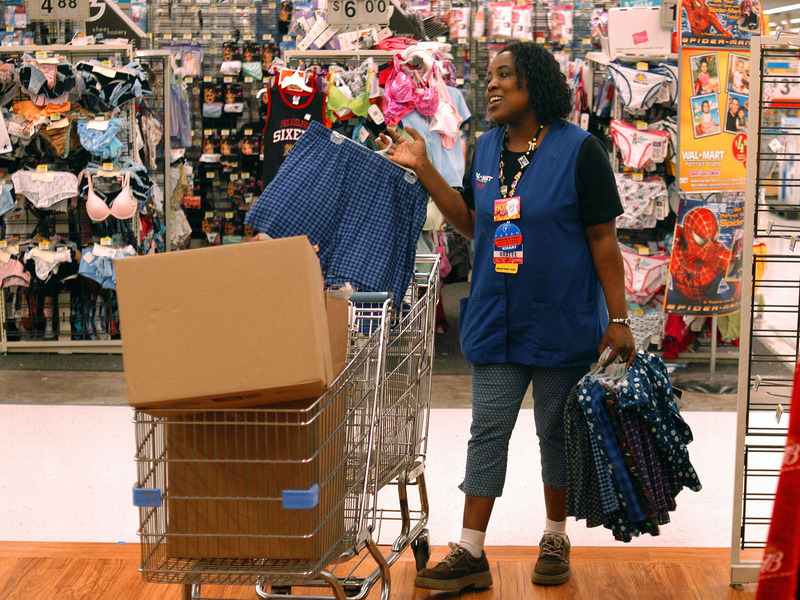 In an attempt to hire seasonal workers for the holidays, retailers are also pushing new perks. While some fast-food chains are also increasing pay to compete, the restaurant industry is increasingly relying on automation to cut labour costs. Shake Shack, Taco Bell, and McDonald’s are all rolling out ordering kiosks across the country. Arby’s has installed ovens that automatically roast beef, while Dunkin’ Doughnuts has roasters that independently grind coffee,the Wall Street Journal reports. And, mobile ordering has become the norm across the industry, with chains from Chick-fil-A to Starbucks incentivizing customers to download the apps.